What is Dill Seed - Dill Weed? 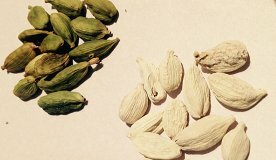 Dill Seed and Dill Weed are from the same plant; however, each has its own distinctive flavor. Dill seeds are strong in taste, whereas dill weed, the plant’s leaves, has a milder taste that dissipates rapidly with cooking. Avoid long cooking times and high temperatures. Best to add dill weed once dish is done. 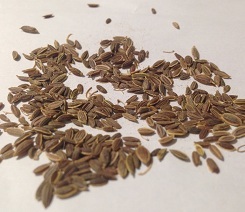 Dill seeds are flat and oval in shape; fresh dill weed is a dark green. Dried dill weed can be used freely since they tend not to have much flavor. 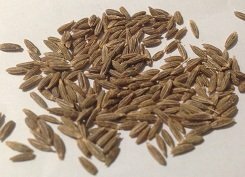 What is the Origin of Dill Seed - Dill Weed? Dill is indigenous to Europe countries. 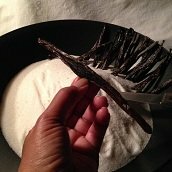 It is an essential ingredient for these cuisines: German, Eastern and Central European, and Scandinavian. Dill seeds are a key ingredient in pickling spices (e.g., dill pickles). The weed is great with fish such as salmon and tuna. Dill is good for these foods: green beans, breads, cabbage, carrots, chicken, corn, cucumbers, eggs, fish, peas, potatoes, root vegetables, seafood, squash, stews, tomatoes, and turkey.